You will need capitalize your keywords in order to use the ad template. 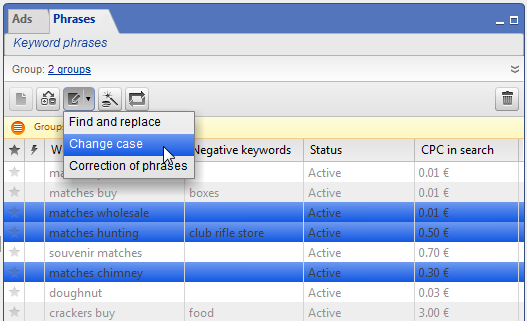 You can either apply capitalization to all keywords listed on the Phrases tab, or only to previously-selected keywords. 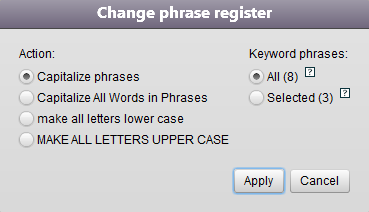 In the latter case, select the necessary keywords. To simultaneously select several campaigns, press and hold Ctrl or Shift. Click and choose Change case. Choose the appropriate setting in the window that appears and click Apply.